I'm only fifteen, but you'd better believe that I have a bucket list. Freaky things happen all the time in my family and I definitely do not want to be turned into a pigeon or a statue by one of my sister’s wayward spells before I accomplish all my goals. 1. Manifest a useful power. This being-the-reincarnation-of-Cleopatra thing is kind of boring so far. I mean, I like sand and sphinxes and all but compared to my sisters’ powers, reading hieroglyphics isn’t exactly a blow-your-hair-back talent. 3. Travel to Egypt. Hey, maybe the pyramids will recognize me. 4. Experience a day where my sisters don't irritate me. 5. Stop the freaky dreams about ancient Egypt. Get back to the good ones, like the time I was driving a red convertible and wearing leather pants. There you go! My fingers are crossed that I get to experience all of these things, although I realize #4 is fairly unlikely. 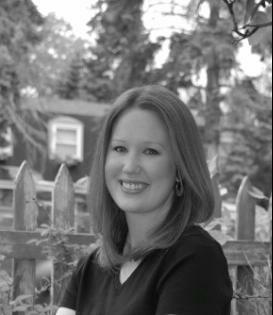 Maureen K. Lipinski, a graduate of Miami University (in Ohio, not Florida), resides in the Chicago suburbs with her husband and two children. 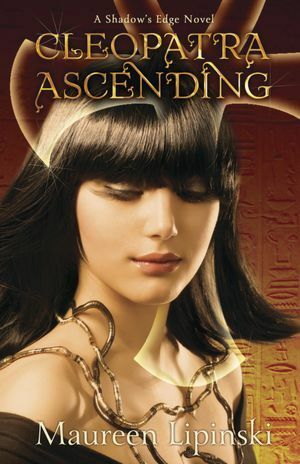 She is the author of YA novels Shadow's Edge and Cleopatra Ascending, in addition to two adult novels.